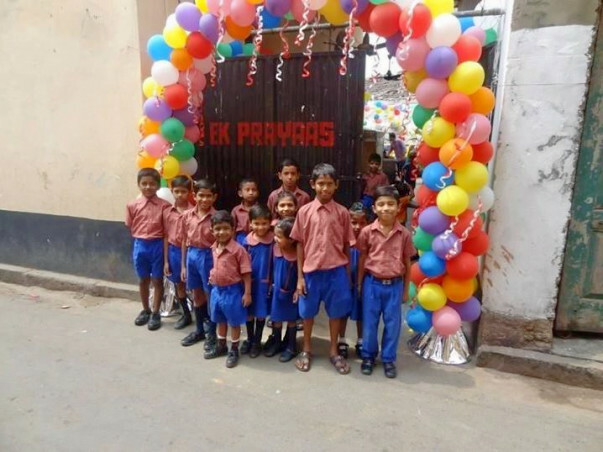 Ek Prayaas as the name suggests,is a humble effort to support,educate and bring about an all round development in the lives of underprivileged children from the slums and streets of Kolkata.We believe education for them should extend beyond imparting literacy.Ek Prayaas aims to ensure that each child here grows to be a self confident individual with belief in his/her own unique potential and ability to unleash it in a constructive way.Child labor should be replaced with adult enterprise. What began in September 2004 as a disparate group of 12 children taught by 2 adults with a dream is now a Primary English Medium school with 200 children.The biggest hurdle is finding quality High Schools and their prohibitive costs,well beyond their means,resulting in many drop outs. The dream of Ek Prayaas High school can be a milestone towards our mission Empower through Learning.